I got a box in the mail from eShave and it contained the Orange Sandalwood Collection, which was comprised of three crucial components for an enjoyable shaving experience: Pre-Shave Oil, Shave Cream and After Cream Soother. The Pre-Shave Oil was really thick, like a balm, rather than a cream type that a lot of companies use, and it softened the skin immediately. After a minute or two of applying a layer of the oil and then rubbing it in, I literally felt like I could shave even without the shaving cream — my skin was loosened up and felt soft. The pre-shave could’ve easily been a moisturizer. I wasn’t surprised to learn that the Orange Sandalwood Pre-Shave Oil was named the Best Pre-Shave Oil of 2011 by Men’s Health Magazine. The only thing I didn’t like was the scent — Orange Sandalwood. It was too purfumey and was trying really hard to be equal parts aromatherapy and Pre-Shave Oil, when the latter was sufficient. Speaking of thickness, the Shave Cream was exactly that — cream — not some crappy gel that would dry out the minute the air hit it. It was actually very similar to the shave cream offered by TwinLuxe that I reviewed a few weeks ago. Both were high quality and coated and protected your skin, greatly smoothing the act of shaving. Though I favored the TwinLuxe product, if you’re on a tight budget, the eShave version is $22 for a 4 oz. bottle, while Twin Luxe charges $34 for a 5 oz. bottle. Both are very high quality and are vastly superior to any gel-based shaving cream on the market. The After Shave Soother was probably my favorite of the three products I received from eShave. It was at least the one that distinguished itself the most from other similar products. So many after shaves on the market are not sufficient with just one application — after you put it on once, some of them even dry your skin out even further and you’re forced to apply some lotion or an additional product. But the eShave version was thick without being gloppy and felt great. I only had to apply one coat and I was good; my skin wasn’t dried out 15 minutes later, it was still firm and moist. It just felt good. But seriously, the Pre-Shave Oil is so versatile that you could even use that as an after shave soother or post shave cream. It will leave your skin looking a little glossy and moist, so you may not want to use it before you go out. But it’s easy to see why Men’s Health was so enamored with it. The Sandalwood scent was a little much at times, particularly with the Pre Shave Oil and After Shave Soother. I like Sandalwood as a scent (I actually have a bar of sandalwood soap next to my sink right now), but felt like it was somewhat overpowering and unnecessary for a product that was already solid even without the added scent. 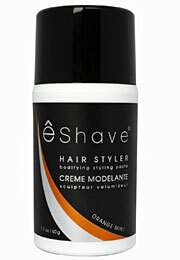 Overall, eShave’s shaving products put them on the top tier with any other big name product on the market.